The Arts Center of the Capital Region, located at 265 River Street in Troy, has put out their 2018-19 Call for Entries. Applications will be considered for various opportunities, including large group exhibitions, and from visual artists in all media, including photography. All submitted work must be original and completed within the last five years. Artwork selected from the call will be scheduled to be exhibited in 2019 for a duration of approximately 3 to 4 weeks. For a photography exhibit, applications will consist of digital images of the photographs. In the actual exhibit prints will be on display. Selected artists must exhibit work consistent with the images shown in their application. 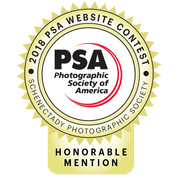 The Schenectady Photographic Society is interested in applying as a group, since this Call for Entries provides an exciting opportunity to have an exhibit in an art setting. This is a request for digital images of photographs to be included in our application. You can submit up to 4 digital images as jpeg files in the format used for images submitted for the projected image competitions. Thank you to all who submitted entries.